Enlarge / Chris Anderson (left) doing drone stuff. This week, we’re serializing another episode of the After On Podcast here on Ars. Our guest was the editor-in-chief of Wired magazine for twelve years—until he did something quite unusual for an editor and started a high-profile, venture-backed startup. Specifically, 3D Robotics—which played a genuinely historic role in the rise of consumer drones (if a phenomenon that young gets to have historic players). Chris Anderson doesn’t have the background you might expect from someone with his résumé. For one thing, he dropped or failed out of multiple schools when he was young. For another, he played bass for R.E.M. (and there’s something of a twist to this fact—but you’ll need to hear to our conversation to find out what it is). We’ll be running this interview in three installments this week. You can access today’s installment via our embedded audio player, or by reading the accompanying transcript (both of which are below). Today, Anderson and I open by talking about his path from being a bohemian layabout to studying computational Physics at Berkeley, and finally to the pinnacle of the magazine world. We then discuss how a weekend LEGO Mindstorm project with his kids led him cobble together a very early consumer-class drone. 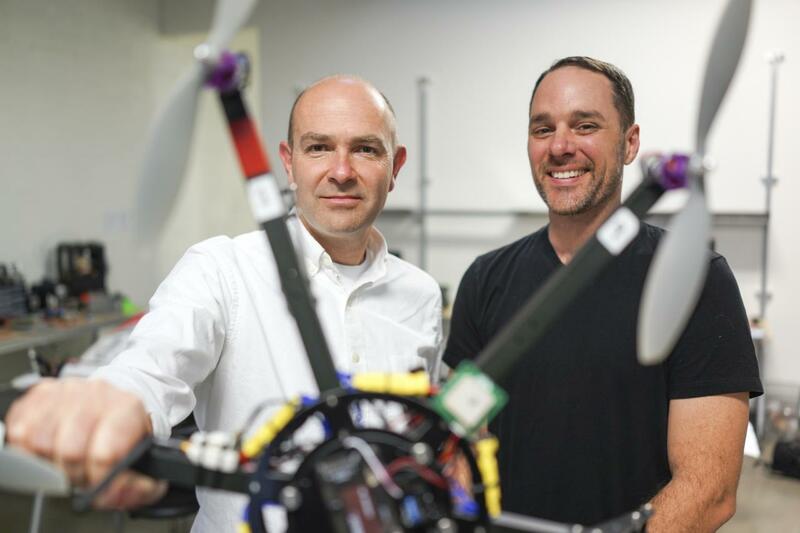 Doing this led him to discover the emerging realm of homebrew drone makers. Their online community fascinated him, and he soon became a leader within it. The release of the first iPhone was transformative for this community because it pushed accelerometers, sensors, and other digital guts into mass production. This caused their prices to plummet and their accessibility to skyrocket. As the hobby went mainstream, the skill level of the average garage drone-maker also plummeted. More and more enthusiasts wanted someone to just make their drones for them. And this created a fateful opportunity, which Anderson and I will discuss tomorrow. If you enjoy my interview with Anderson, a full archive of my episodes can be found on my site or via your favorite podcast app by searching for the words “After On.” The broader series is built around deep-dive interviews with world-class thinkers, founders, and scientists, and tends to be very tech- and science-heavy. Frequent topics include robotics, neuroscience, synthetic biology, genomics, astrophysics, and a lot more. Finally, if you’re curious about the latest episode in the main After On podcast feed, this week it’s an interview with Yale primatologist and psychology professor Laurie Santos. Most of Santos’ academic work has been on animal cognition. Then this spring, she offered a course on the science and practice of human happiness, almost as an experiment. To her astonishment, it became the most popular class in Yale’s 300-plus year history. She has some fascinating things to say about happiness, as well as cognition in dogs and primates. I hope you’ll tune in for it.